You might know that I'm a fan of the gin. I have quite a lot of gins in my little stockpile now, so I have to be quite impressed to add more. 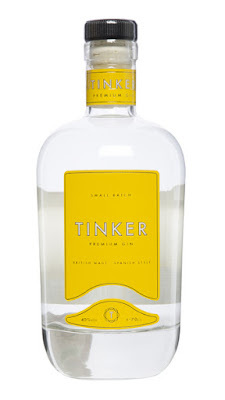 This gin was being offered at the gin festival I went to in May. I went to a gin school to hear about how it was made and it was very wittily sold by an ex-teacher who kept us laughing throughout his explanation of what makes this gin delicious and special. It was indeed delicious and special, so I bought a bottle. It's quite citrussy in flavour. You're meant to serve it with a slice of pear, but who has time for that? It's quite a nice business story, too, since it was crowdfunded and they're based in Leeds, and I think they're the people who run the gin festival too so good people to support. You can buy it here. I shouldn't have looked, there's a three-for-two offer on.